Studying. My brain should be working with me to memorize the different types of structural prediction software instead of daydreaming about Spring Break and St. Patrick’s Day. If I was still in Philly, the streets would be flooded with Guinness and tequila – and for those silly enough to mix, there would be a tinge of vomit too. I can’t stop thinking about life after this exam; this scary stressful exam given by my advisor and covering everything that I have basically spent the last six months researching. So in principle, I understand everything that I’ll be tested on tomorrow but I’ve always been terrible at memorizing the finer details. I have a new obsession – Society Social. I found most of the bar carts that I’ve pictured on their website and after looking at all of the brightly colored furniture that they advertise, I’m tempted to buy everything. Even though they’re making a modern-day comeback, bar carts are still inherently vintage to me, and the jury’s still out if I’d want one in my living room. Maybe it’s just the thought of trying to find a place for it in my 750 sq ft apt, but I don’t think I’ll be purchasing one anytime soon. 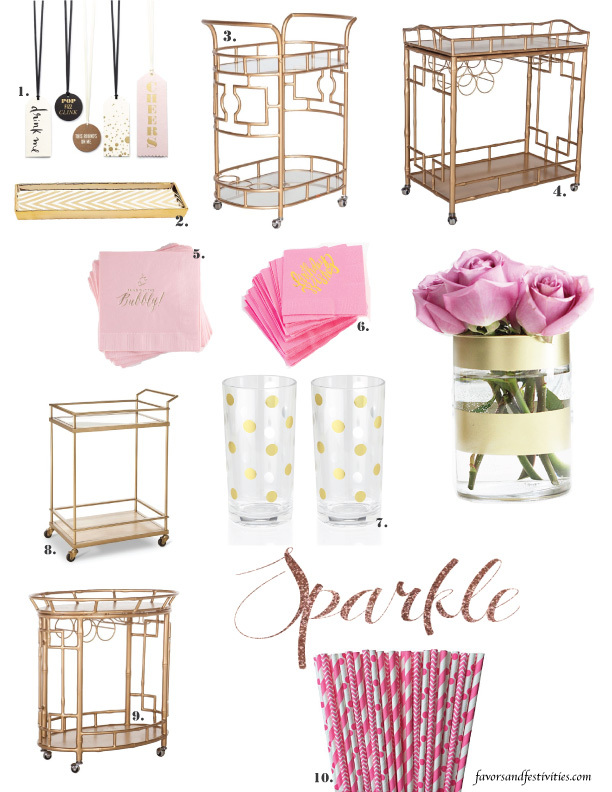 Accessories for my non-existent bar cart – those I will definitely buy. One of my favorites is a set of personalized wine tags, which I would personalize with uplifting words (cheer, laugh, smile) instead of names. Check out my previous post, Drinking Decorations for more ideas!